Winter is the time of year when the local produce harvest is seriously limited. There is a tenacious vegetable crop however that seems to flourish despite the cold weather — the humble vegetable kale. Formerly relegated to being ornamental and used for display with other foods, this good-natured durable plant is finally winning us over. The ability to thrive and cleverly concentrate their nutrients and flavors into a fibrous durable leaf is commendable. 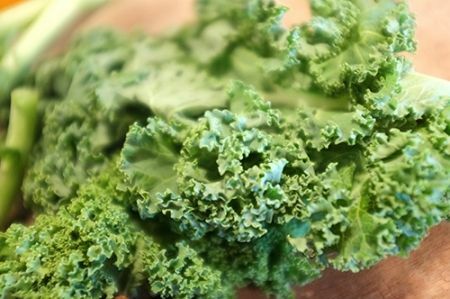 When you are purchasing kale choose leaves that feel firm. Deep green, tender, smaller leaves are what you want to eat and prepare. Store them in a plastic bag in your refrigerator, but don’t wash them until you need them. You can try kale slivered in soups, sauted and savory as a side, chopped-and-chilling in a salad or tossed into pastas. If you don’t feel confident about cooking it at home try Chef Jeremy’s recipe in our January Good Times newsletter. Or better yet come to Salty’s and our chefs will fix you a winning dish!